ASHEVILLE, N.C., Jan. 17, 2019 — The Collider is hosting a two-part panel series with local climate scientists and experts, many of whom worked directly with the fourth National Climate Assessment — also known as the NCA4. The first in this series of panel discussions will take place on Thursday, January 24, from 4:30 to 6:00 p.m. at The Collider. Admission is free and open to the public with a suggested donation of $10 per person. On November 23, the U.S. Global Change Research Program (USGCRP) announced the release of Volume II of the NCA4. 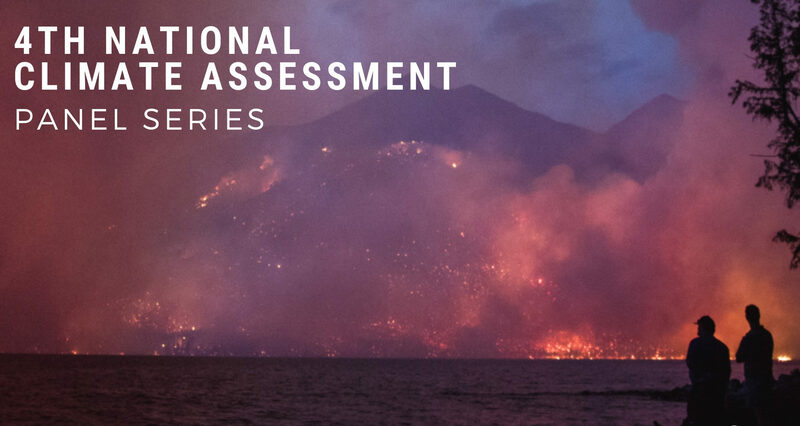 Volume II, Impacts, Risks, and Adaptation in the United States, assesses a range of potential climate change-related impacts, with an aim to help decision-makers better identify risks that could be avoided or reduced. The assessment follows Volume I, the Climate Science Special Report (CSSR), which USGCRP released in November 2017.